Let's start with the fun stuff; images! 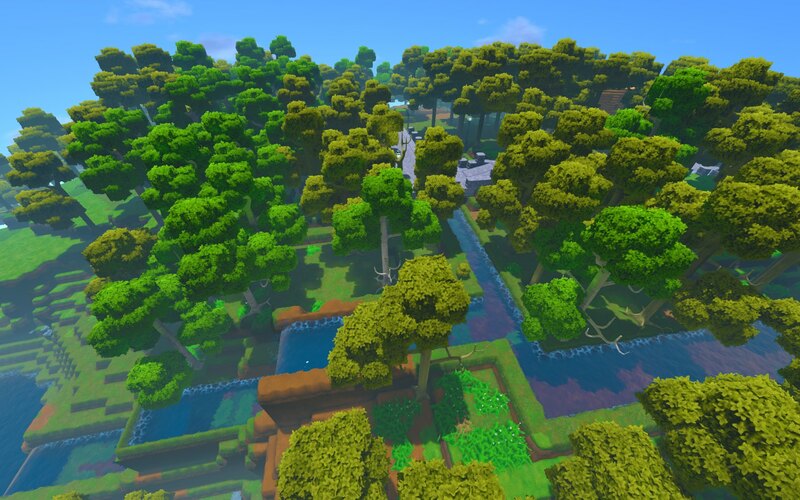 An overview of the water flow, which I also built all of. And looking in through the viewing area. This is done in version 7.4.4 with no kinds of cheating - everyone can do this. The water comes from a water source near the top of the second image, next to the road. 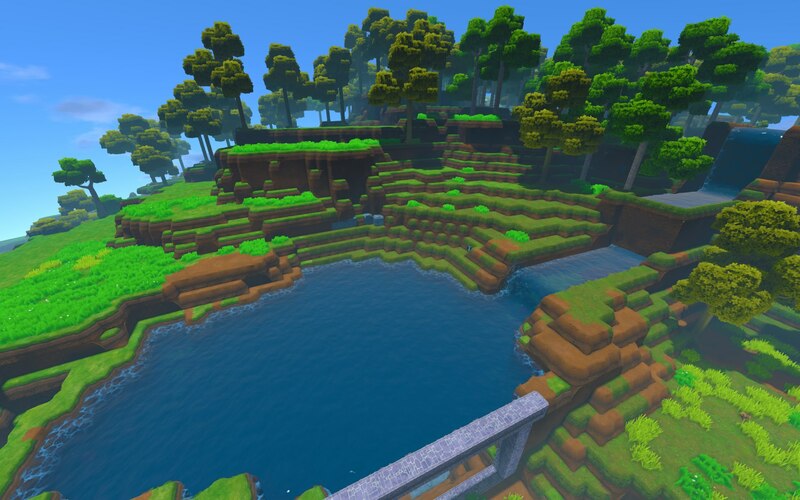 You might be able to notice a small hill, which is where the water orginally flows in the opposite direction of what I built (which is everything you see). 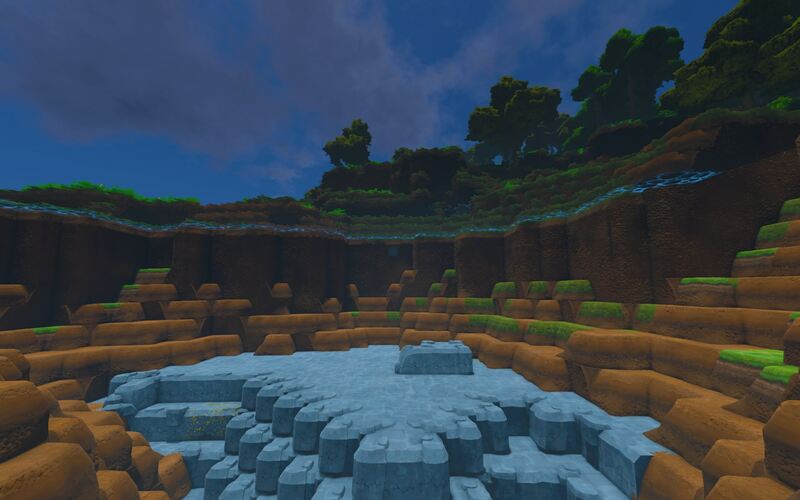 The method can be used to create waterfalls, rivers, lakes... Basically whatever you want to do with water. I would be interested in a small guide! Why dont you need any bricks? Does it work with dirt only? Does the water affect the moisture in surrounded soil? i tried to do something like this. but instead of a huge river system. i made a pipping system that went under my place and a road to a dug out lake area. Once i opened the flood gate from the water source blocks, the water only flowed a few blocks within the pipe system. I then made the bottem of the pipe system out of brick in the V shape form and the water sadly only flowed one or two blocks more then it did with dirt. I would love to watch your guide on how to move water around. @CowaBunga Did you use the aqueduct blocks, or just normal brick blocks? The aqueduct blocks are the ones that will let water flow. They're the 3 green boxes icon when constructing using bricks. Requires brick construction 2 unlocked. with the new update and not having any more constriction skills. this is gonna be so much easier to play around with. Any sort of update on a Tutorial? It looks very easy to play this one by adopting some useful methods. Cow, I noticed you on our Globir server, dont run! xD we need some canals! Can you make a video on Youtube on how you do this? Thanks!